Thanks Perry. I’m certainly very excited as well. I watched The Web of Fear last night and it was absolutely fabulous. I only watched Loose Cannon’s reconstruction of it a month or so back and what it showed me more than anything else is what an amazing job those guys do. I really felt like I’d actually seen all of the episodes before – that’s how accurate they are! Unfortunately their recons for both of the recovered episodes have now been pulled from YouTube. I honestly would love to see an episode again and compare it with the moving pictures. I am definitely looking forward to the DVD releases of these two stories. Hopefully in the case of The Web of Fear the BBC will have someone recreate it via animation, as they’ve so effectively done in several other instances. Personally, I hope it isn’t animated by the guys who did ‘The Ice Warriors’ DVD. The animation in that reminds me – way – too much of ‘The Whistling Song / Young Folks’ music video. It will certainly be interesting to see if it’s animated. 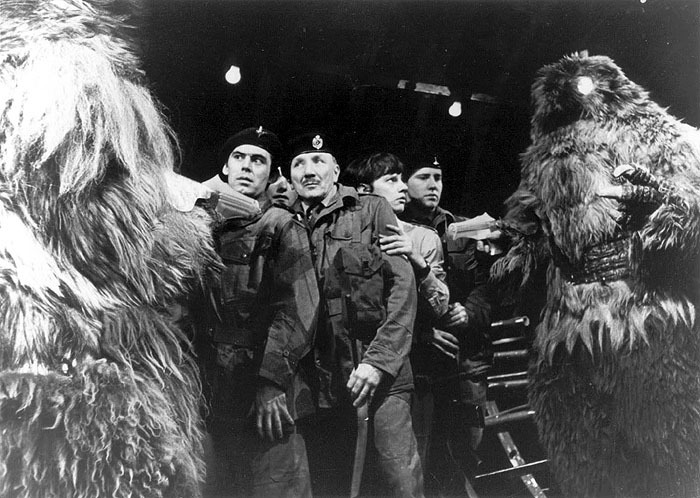 I actually liked The Ice Warrior’s one as it was very reminiscent of Cosgrove Hall’s animation for The Invasion. I didn’t think much of The Reign of Terror ones.